Unleashing the full potential of Swiss R&D on the international wind energy market! The First Swiss Wind Energy R&D Forum 2019 at the University of Applied Sciences Rapperswil on Wednesday, 15th May, 2019, brings together Swiss research institutes with innovative companies in the area of wind energy technology for the first time. It also provides a platform for the new Swiss Wind Energy R&D Network. Are you involved in aerodynamics, CFD, multi-physics, embedded electronics, high-power electronics, software engineering, measurement technology, weather forecasting, meteorology, machine learning, drones, statistics, composites, fatigue, structures, monitoring, GIS, drive trains, block chain, IoT, bio-materials, nanotechnology, artificial intelligence and more? Then don't lose any more time - the rapidly expanding global wind energy market is waiting for you! Wind energy now contributes to 14% of the EU’s electricity and the EU installed more wind energy capacity than any other form of electricity generation in 2018! Find out how to get involved by attending this event! - "How can Swiss technical capabilities be better leveraged in the international wind energy market?" - "What are your thoughts and ideas regarding a Swiss Wind Energy R&D Network?" 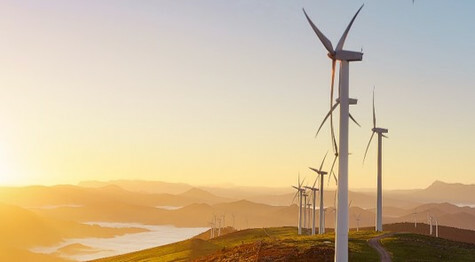 This event provides a unique networking opportunity to strengthen the collaboration between industry and research in the international wind energy sector. Learn about the capabilities of Swiss research institutes in the area of wind energy. Learn about the capabilities of Swiss research institutes in relevant areas such as machine learning, big data, weather predictions and composite manufacturing. Meet potential research partners for exciting new R&D projects. Discuss ideas and challenges with your peers. Find out what other Swiss research institutes are doing in the area of wind energy. Start new collaborations with other Swiss research institutes. Understand more about the real needs of the wind energy industry. Meet potential industry partners for exciting new R&D projects. Develop new ideas, innovations and spin-offs.